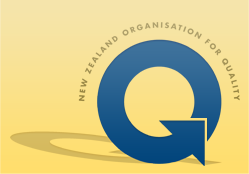 Business Sustainability and Environmental Management, Six Sigma, Internal Auditor Training, Management Systems Auditing and Quality Management courses all meet the registration criteria for the NZTE Capability Development Voucher scheme. Additionally, the Quality Improvement, Variation, Implementing Quality, Management Systems, and Maintaining Quality courses also meet the criteria. Small businesses may qualify for vouchers to help pay for services such as training workshop, courses and coaching that build the management capabilities of their owners, operators and key managers. New Zealand Trade and Enterprise (NZTE) Capability Development vouchers are only available through Regional Business partners around New Zealand. Regional Business Partners assess local business to determine what their needs are, and assist them with a plan to help them develop, grow and innovate. Vouchers may be allocated as part of the plan to help businesses pay for up to 50 percent of the costs of services (up to a maximum value of $5,000 excluding GST) from registered providers that improve management capabilities in targeted areas. For more information on the Capability Development Voucher scheme or to find your Regional Business partner visit the website. These services have met the registration criteria for the NZTE Capability Development Voucher scheme. Green belt level course. This course requires students to sit a written exam and a project. Green belt certification is awarded upon successful completion. For those wishing to gain the knowledge and skill necessary to conduct internal quality systems audits within their own organisation. Role plays and case studies based on actual audits are used to reinforce the concepts and provide participants with practice in applying the principles to situations typically encountered during internal auditing. Use is made of ISO 9001:2008 or other standards to suit the candidate's background including Health and Safety, Environment, Healthcare. Candidates who successfully complete may be granted an Exemplar Global Certificate in Audit Practice [AU]. Intended for people with a sound background in management systems who wish to become involved in second party (supplier) or third party (certification) audits. This course meets the training requirement component for approved auditor registration. Sections include Risk Management including HACCP, Sampling Risks, Planning and reporting issues to management and other agencies. Provide a sound introduction to modern management with an emphasis on Quality factors in service and manufacturing. An emphasis on designing in quality from a customer perspective. A sound introduction to the "ServQual" customer satisfaction model. An introduction to Business Processes. A feature is in the use of the PWC Business model to introduce candidates to Business scope and operations. An introduction to Risk Management issues from a Quality Cost perspective such as Product Recalls. An introduction to TQM and Employee Development. The course provides a sound introduction to other courses. Provides a sound introduction to Business Excellence Awards including Baldridge and Westpac/Enterprise Development Agency programmes. Introduction to the PDCA, SDCA and Kaizen principles of business. Improvement tools are used to demonstrate classical problem solving techniques including Pareto Analysis, Flow Charts, Business Process Models, Scattergrams, and basic correlation as well as Cause and Effect diagrams. Force Field Analysis is included with weighting and cost options. A significant feature is in the development of training and professional development with an emphasis on Job Descriptions v Person requirement to meet that job. A key Course for those wishing to later extend their skills to Six Sigma and Lean Manufacturing as an area of specialisation. Since many candidates leave secondary school with only rudimentary skills in mathematics, and particularly statistics, the course has been designed to minimize theory and build confidence in candidates to tackle simple statistical issues in industry. The basics of "populations" are explored with their measures including quartiles and standard deviation. The risks and benefits of sampling when charting, the links to Cause and Effect and back to Correlation. Control Charts of various types — their use and abuse. Cu Sum Techniques and a wide range of manufacturing and service examples for all charts as well as go into a Six Sigma programme. It extends the logic developed in course 3 by looking at Sampling practices based on Randomness and develops the Operating Characteristic Curve as a means of introducing Single, Double and Multiple Sampling plans. Risks are highlighted in relation to the AQL and LQ concepts as well as categorization of defects. Small run points are raised in relation to current standards currently used. ISO 9001:2008 is explored in enough detail to set the scene for candidates setting out to reduce Quality Risks in their industry sector. At this point a candidate who has done the other Courses is able to understand the Six Sigma Concepts and Cp and well as Cpm measures. The concept of defects per million opportunities is applied to short run production or service actions including Healthcare. Occupational Health and Safety as well as Environmental standards are explored as a link with Quality as integrated systems are now the concept for the future. Design issues using the House of Quality as well as HACCP all link back to Risk Assessment. The candidate is introduced to a number of Risk Models. Specifications and standards are explored together with Supplier assessment. Measurement Inspection and control are key tenets when linking to International measures involving Calibration, Accuracy and Uncertainty of measurement. The analysis of data is further explored together with the use of "soft" measurements such as Customer surveys that also need "calibration". Secret shopping and survey concepts are extended. Non-destructive testing is described and there are significant statistical references to Food Testing, including Taste Panels. Traceability is analyzed in relation to product withdrawal from the market including point-of-sale control. System Audits are described for Quality, Health and Enviromental situations. The roles of JAS-ANZ, IAF and Regulatory bodies are defined.